Starbuck’s Grab n’ Go, 10 burner Vulcan with a double oven, Stoltec soft serve ice cream machine (Dairy Queen model!) with cabinet in bottom, Hoshizaki Ice machines- 212lb, 900lb, 1300lb, Bar Back solid door Glasstender, used bar sinks, used three compartment sink, touch free ice machine with ice and water dispenser countertop (great for hospital, nursing, office, or drive-thru) charbroilers, flat griddles, 2 burner/ flat griddle combo, 60 quart Hobart commercial mixer, walks in- 7×7 cooler, 7×7 freezer, Alto Shaam cook and holds, smoker, coffee equipment, used handwash sinks, Doyon bread slicer, used convection oven countertop Cadco, used slicers, used food processor, used high volume conveyor toaster, conveyor pizza ovens, it goes on and on and on and on! One Fat Frog Restaurant Equipment is the only dealer in the nation with its own in-house finance manager. This gives One Fat Frog Restaurant Equipment a serious edge when it comes to getting you financed for all of the used commercial restaurant equipment you need to open your own restaurants, bar, deli, pizzeria, food truck, etc. 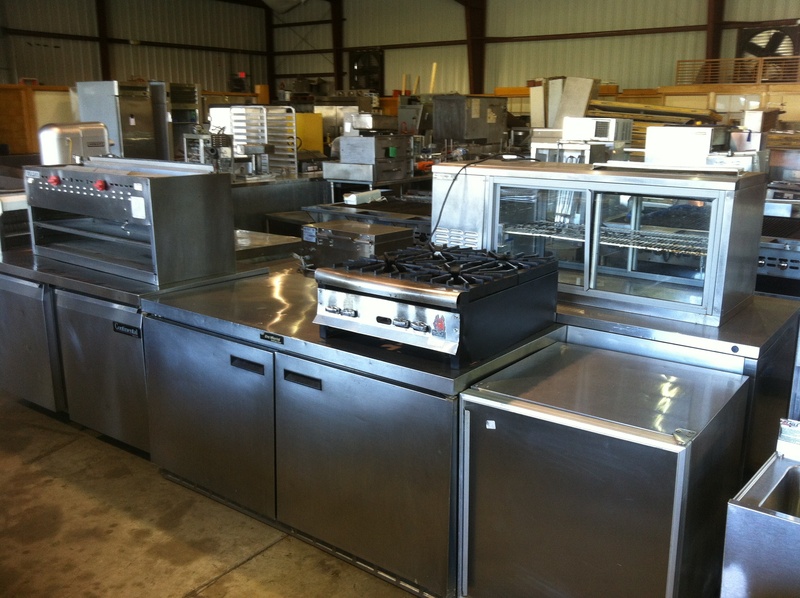 One Fat Frog Restaurant Equipment also welcomes quick cash deals and package deals towards the entire stock of used commercial restaurant equipment, including the items listed above! Call and ask about our free delivery, free custom paint jobs, free cutting boards, and more complimentary services. ← Used Fryers Must Go!